I have never, ever claimed to be a fashionista. I truly would love to be one because I find it fun, yet daunting. More daunting than fun, if I’m being honest. Most days? I’m wearing something akin to this. Yep, that’s a car selfie. 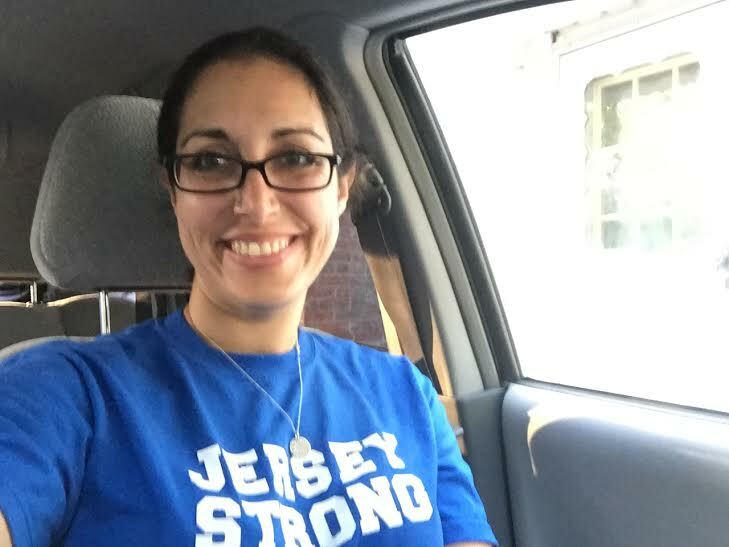 Because I started writing this post in the car and also because I spend a good deal of time carting my kids around to and from activities. Keeping it real, that’s me. Now while I am not a fashionista, I actually do embrace the dress up factor to the very fullest extent. I’m talking costumes! 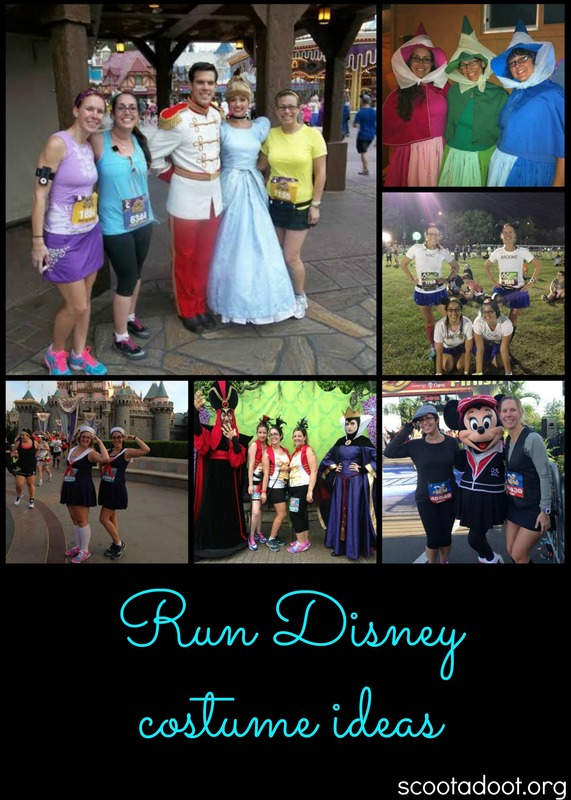 Run Disney is the perfect opportunity to get creative. Our costumes have progressively gotten more elaborate. Thankfully I have a couple of very talented friends who are able to make dreams a reality. It only stands to reason that having the opportunity to try on actual Broadway show costumes would make me lose my ever-loving mind, correct? Correct! And yet, that’s actually what happened. Let me say it again because I’m not sure you understand. 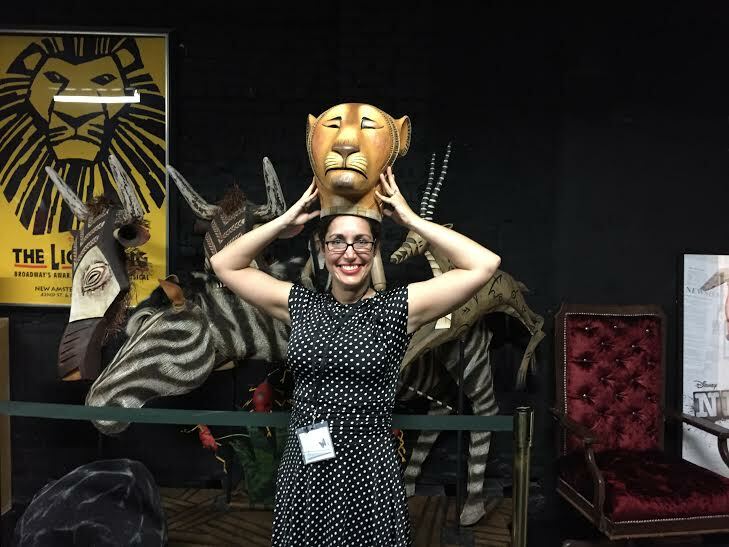 I GOT TO TRY ON COSTUMES FROM BROADWAY SHOWS. I was fortunate enough to be able to attend the Disney Social Media Moms Celebration in New York City on Monday and I’m still on cloud 9 from the entire experience, start to finish. Actually cloud 9 might not be high enough. Cloud 10 or 11, at least. 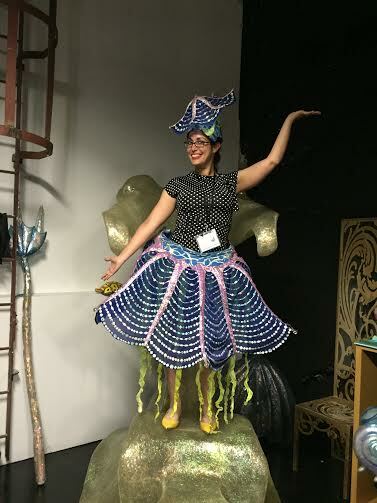 In the coming weeks I’ll be sharing lots of good info that I gleaned during the event but as a jumping off point, let’s talk about the absolutely amazing and intricate costumes from Disney Broadway shows. 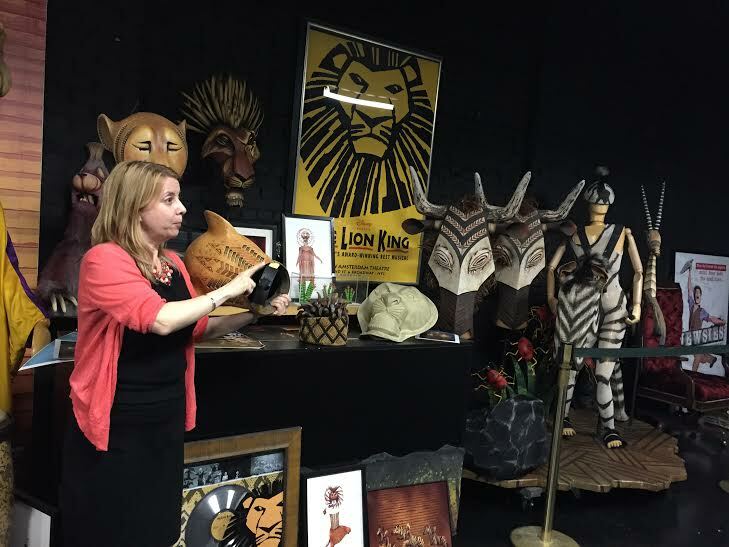 Conference attendees were invited to tour the New Amsterdam theater, which is currently home to the Broadway show Aladdin. This was my facial expression. Then I sort of had a freak out moment as we walked to the room. I’m not sure if I’ve shared this before but I am a big theater geek. I was in musicals throughout childhood and college, we have subscriptions to local theater companies. I just love the stage! I did a good job of keeping it together, for the most part. I think. Okay, maybe the immediate people around me realized how much I was freaking out. I mean, this was a HUGE deal. After a brief history lesson about the Disney Theatrical groupsshows: Beauty and the Beast, Mary Poppins, Tarzan, Aida, The Little Mermaid, The Lion King and Newsies and seeing a bit of the magic behind a few of the sets, we were able admire the costumes and set pieces that lined the walls of the room. 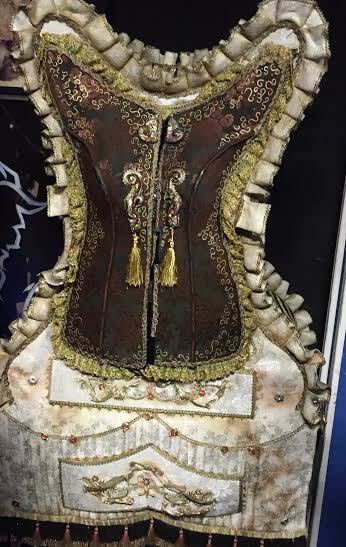 Madame De La Grande Bouche’s costume from Beauty and the Beast. 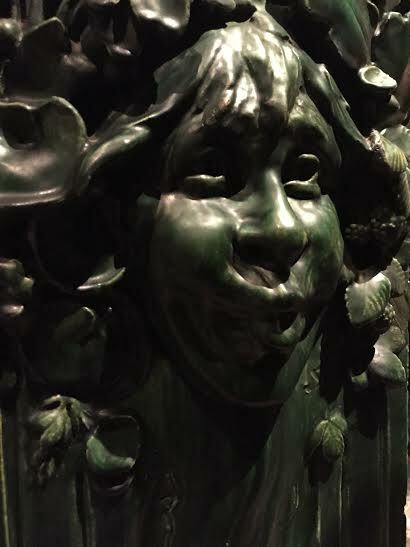 Aren’t the details incredible? 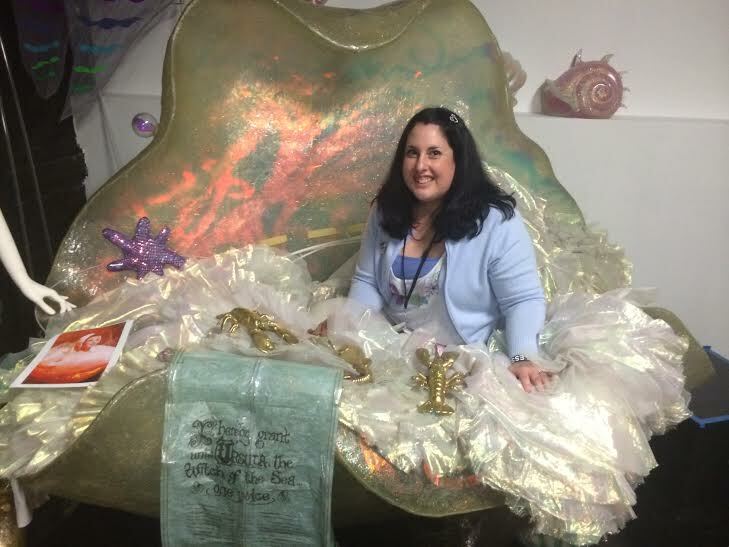 Under the sea on King Triton’s throne! Isn’t the headpiece amazing? My new friend, Melissa of Autism Mommy Avenger, needed a little bath in Ariel’s tub. From Under the Sea to Stepping in Time. 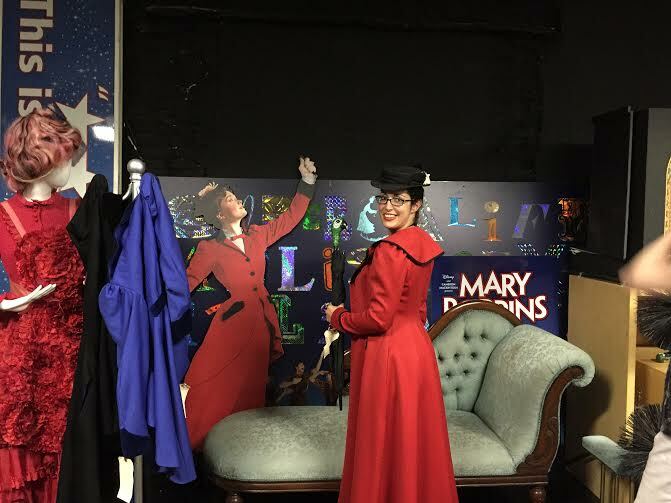 Fun fact: that coat was small (like my arms were contorted a bit) and very heavy! And then we took to the jungle! On the bus ride home Melissa mentioned that these headdresses were worth $7,000. WHAT THE WHAT? You can bet that I was holding on tight! I am slightly accident prone. Unsurprisingly, the attention to detail was incredible. Would you expect anything less from Disney? Something I thought was very interesting was how they used “cheats” with their costumes, sneakers under the Beast’s “claw boots” and Velcro on things like the wardrobe costume above. Jenn and Cam are always looking for ways to simplify things on our running costumes and make them fit our situations and needs; I loved seeing that Broadway designers do the same! These headdresses look like heavy wooden carvings but they are actually only 4 ounces. They adjust with the same design as a construction hard hat! One of the main reasons I enjoy costumes is because it allows me to take on a different persona and be someone else, if only for a little bit. I think it’s so easy to get caught up in the day to day routine of being a mom, a wife, a community member. When I get to wear something a bit out of the ordinary, it’s a reminder that those aren’t the only things that define me. Every day can have a little magic if we just seek it out! Are you a fan of dressing up random days of the week? Or just Halloween? 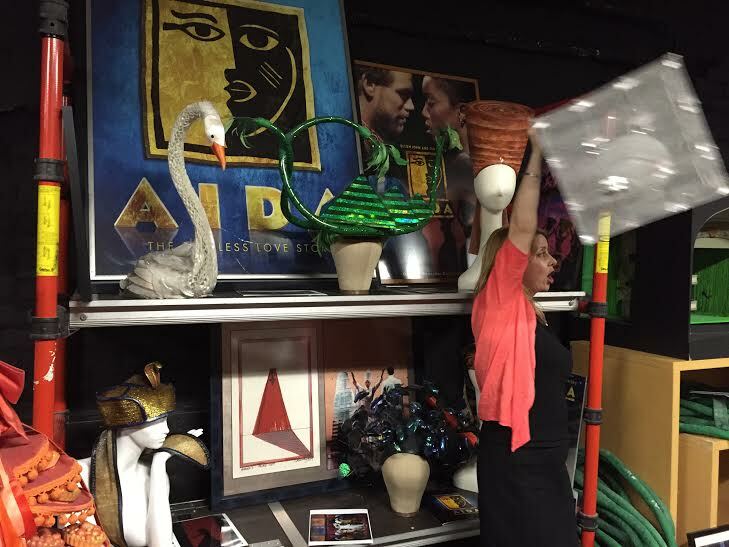 Are you a big theater geek like me? I’m not alone, right? The Disney Social Media Moms Celebration was a free event that I was fortunate enough to be invited to. Other than a magical day, no other compensation was given and all opinions are my very own. 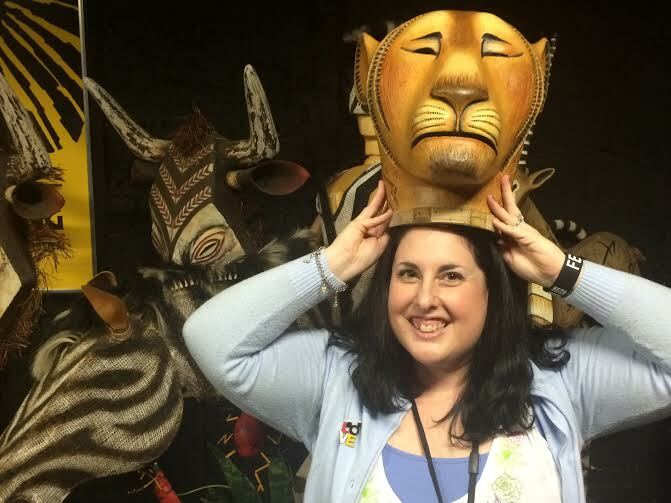 This entry was posted in Uncategorized and tagged Aladdin, Broadway, Disney On the Road, Disney Social Media Moms, DisneySMMoms, Mary Poppins, Mer, The Lion King, The Little Mermaid. Bookmark the permalink. Oh, my gosh – I WANT TO SIT IN ARIEL’S TUB!! Sorry for shouting. Really excited about that. Oh my gosh, HOW COOL WAS THAT, RIGHT?!? Shouting is obviously acceptable and encouraged in my posts/comments. This event had your name written all over it. Seriously, its like they planned it specifically with you in mind! 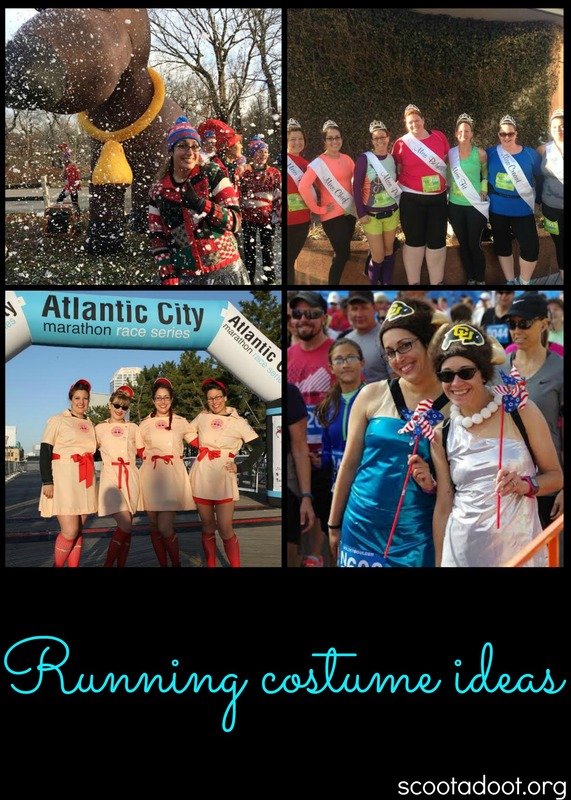 thanks for sharing your amazing experience with us – and I love running in costume – thank goodness for our talented friends who dress us. xo Peace out, Poppins. The only thing that would have made the day even better would have been you girls there to share it with me! It was truly a dream come true. And honestly, we have the best talented friends. Creative minds with amazing talents! xoxoxo Poppins!